This recipe comes to you a few days late as we missed Flashback Friday on the blog last week. I promise we weren’t slacking! We were “in the field,” so to speak, taking pictures and working on a future post that will highlight some of the really cool things happening in Richmond that will make all of us proud! Speaking of cool things going on — The Farm Table is excited to announce that we are expanding to the Hampton Roads area! 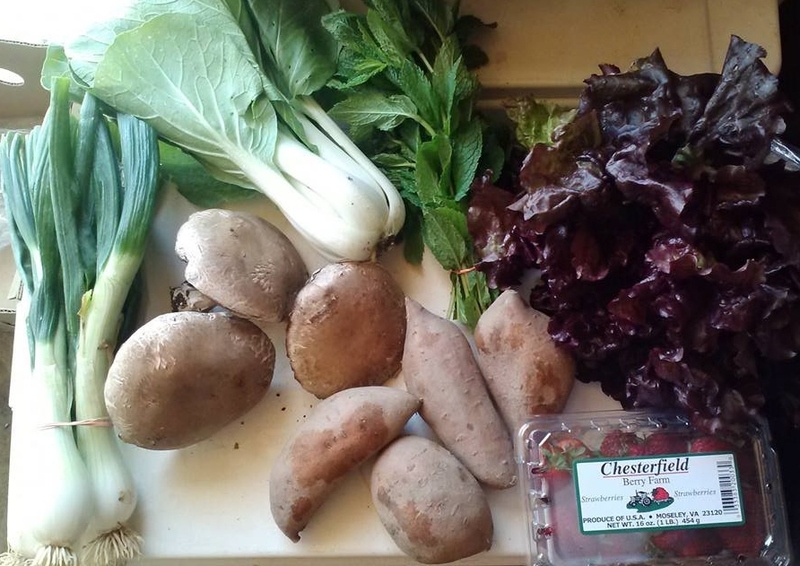 If you have family and friends that would enjoy receiving a Farm Table box as much as you do, or if you know anyone who might want to become part of our team, please share this with them and contact support@thefarmtable.org. More details coming soon! We are also having a lot of fun with our Pop-up Markets. 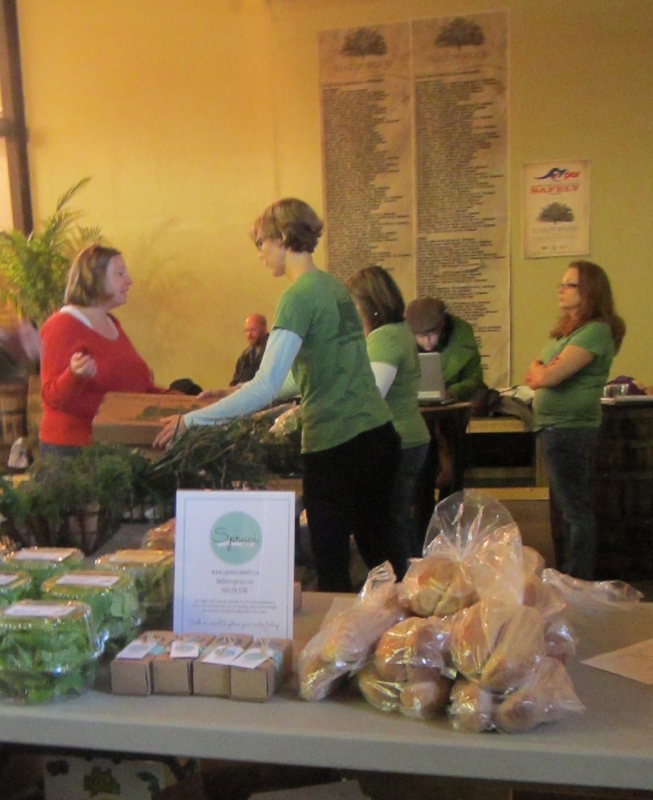 Our next market, this Saturday, June 8 from 12:00-4:00pm, will be at Blue Bee Cider in the Manchester District. We will have fresh local produce, Harvest Hill Farms meats, Quail Cove Cheese and freshly baked goodies from Flour Garden Bakery. Blue Bee Cider will be open for your tasting pleasure from 12-6. Please join us! Details HERE. 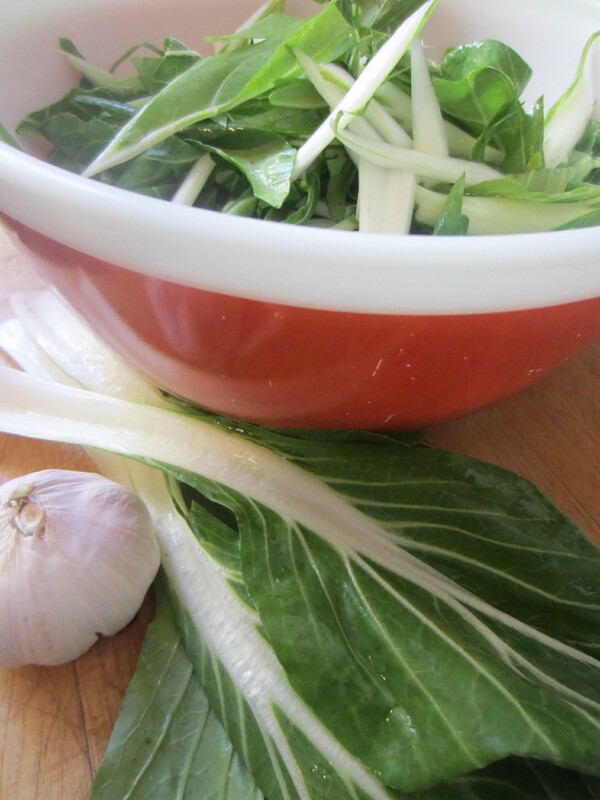 Until then, please try this Bok Choy Stir Fry from our May, 2012 newsletter, which features broccoli, snow peas, peppers, and chicken (optional). It is very important to do all of the prep work for this meal before you start cooking, as stir frying relies on being able to move and cook food quickly in a very hot pan. Also, it may seem labor intensive, but once you’ve prepped the vegetables, it cooks very quickly. Delicious! Preheat a wok or large, deep, frying pan with a heavy bottom over medium-high heat. Coat with peanut oil. Add the chicken and cook 2-3 minutes, making sure to cook on all sides. Remove chicken to a bowl, or push aside. Add the onions, celery, broccoli stems, red/green pepper, ginger and garlic and, stirring continuously until onions become translucent, and veggies start to soften. Add more peanut oil if needed (you need to keep the food moving). Add the broccoli florets, snow peas, bok choy. Keep stirring! After about 5 minutes, add 2 Tbs soy sauce, a pinch of salt and pepper, Hoisin sauce, and the cornstarch/broth mixture. Add the Chicken back to the mixture. Stir for about 3-5 minutes and allow the mixture to thicken. Serve immediately over cooked rice. 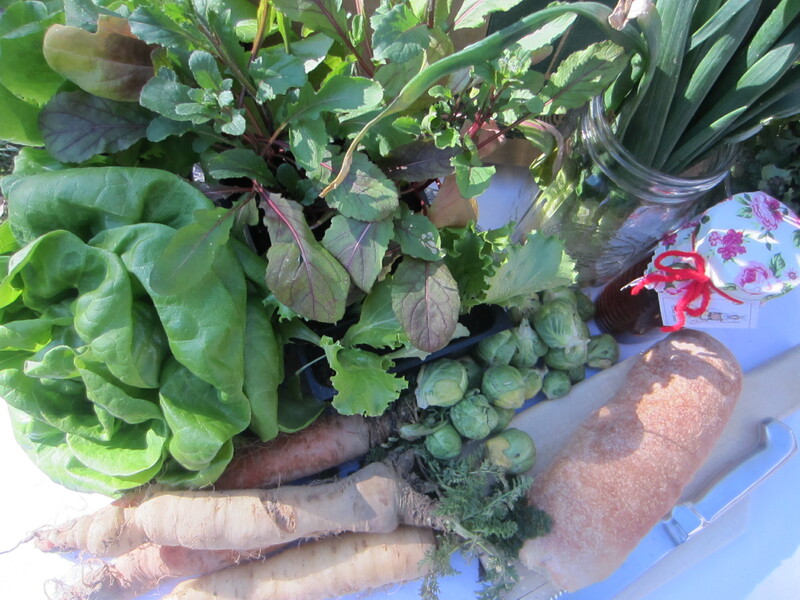 The countdown has begun for fresh, seasonal food straight from the farmer to your doorstep! If you are getting impatient for The Farm Table’s anticipated April 18th start date, and you missed out on our last Spring Pop-Up Market join us for another fun evening at Hardywood Park Craft Brewery for our 2nd Spring Pop-Up Market. With the weather forecast showing temps in the 80’s, join us while we celebrate the beginning of the new season, renew your membership, or become a new member. Wednesday, April 10 at Hardywood Park Craft Brewery from 4-9 pm. 2408 Ownby Lane, Richmond VA 23220. Click here for directions. 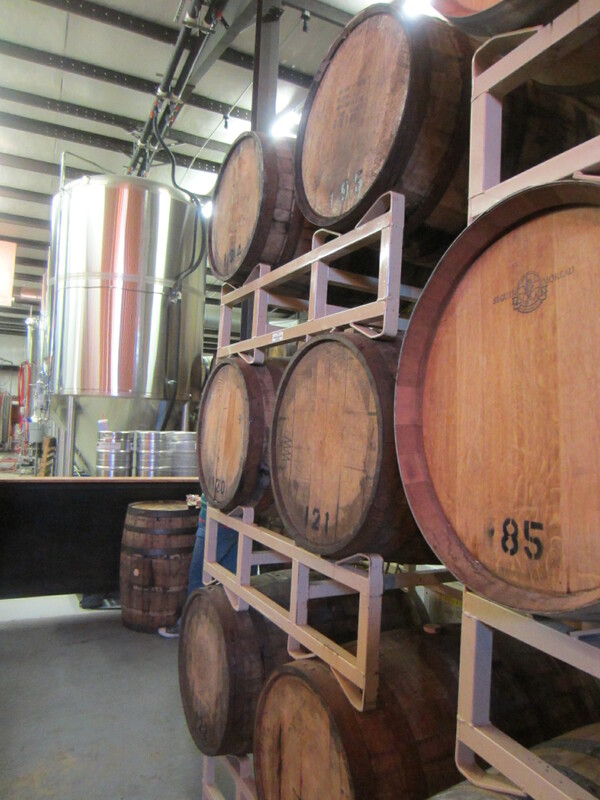 We will have eggs, honey, greens, lettuce, carrots, Brussels sprouts, pastries, bread, Amish sweet butter, Harvest Hill Farm meat, and Quail Cove Farm cheese available, while you enjoy your choice of Hardywood’s excellent selection of craft brews in a laid back venue. 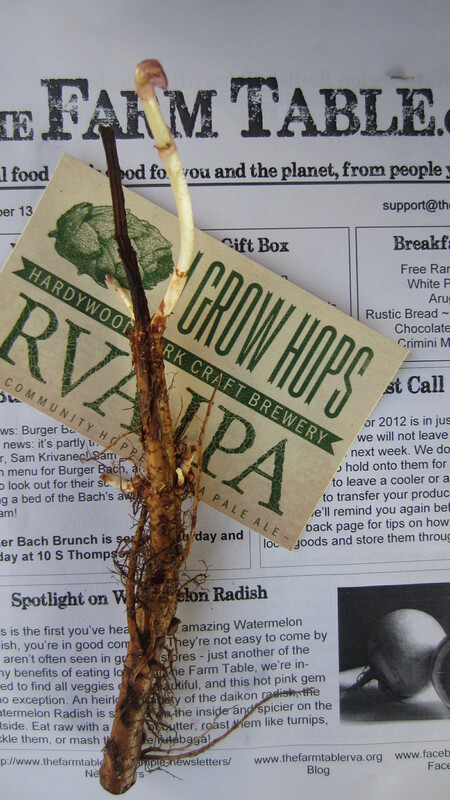 If you missed out on The Hardywood Community Hopping Project for 2013, be sure to check back next year to get in on the local action while you grow hops for their RVA IPA. Some of The Farm Table staff and members got in on the action this year — we will keep you updated on how the hops grow in our backyards! 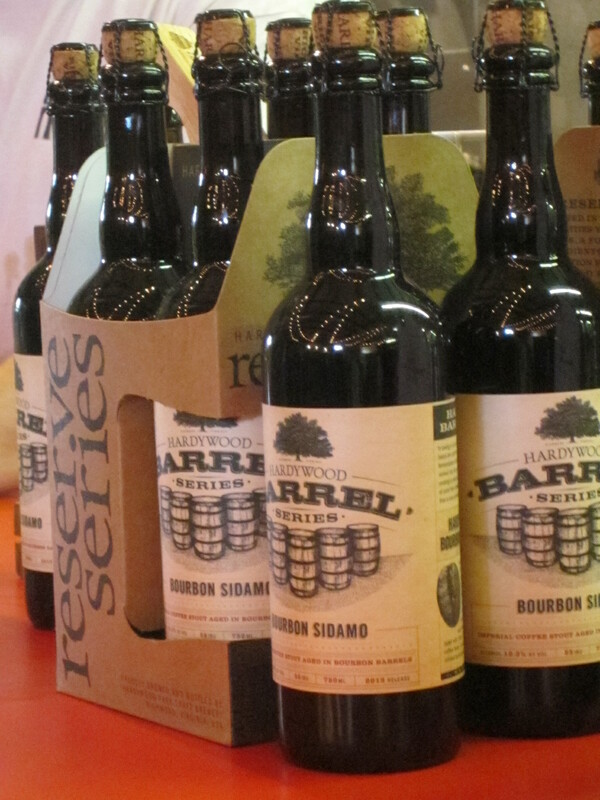 Join us Wednesday, April 10 at Hardywood Park Craft Brewery from 4-9 pm. Hardywood Park is located at 2408 Ownby Lane, Richmond VA 23220. 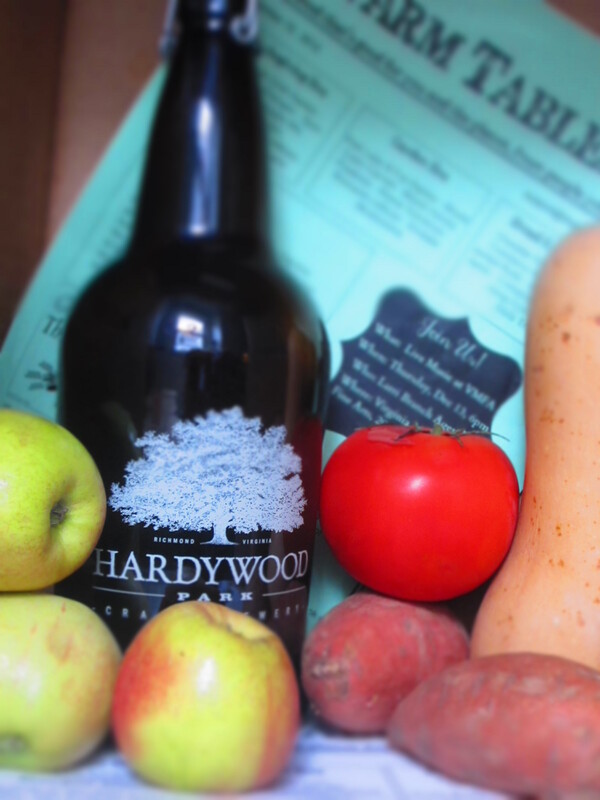 The Farm Table kicks off the 2013 season with a “one night only” Spring Market at Hardywood Park Craft Brewery, tomorrow, March 21st from 4pm-9pm. We’ll be selling fresh local produce, breads, pastries, honey, and more. 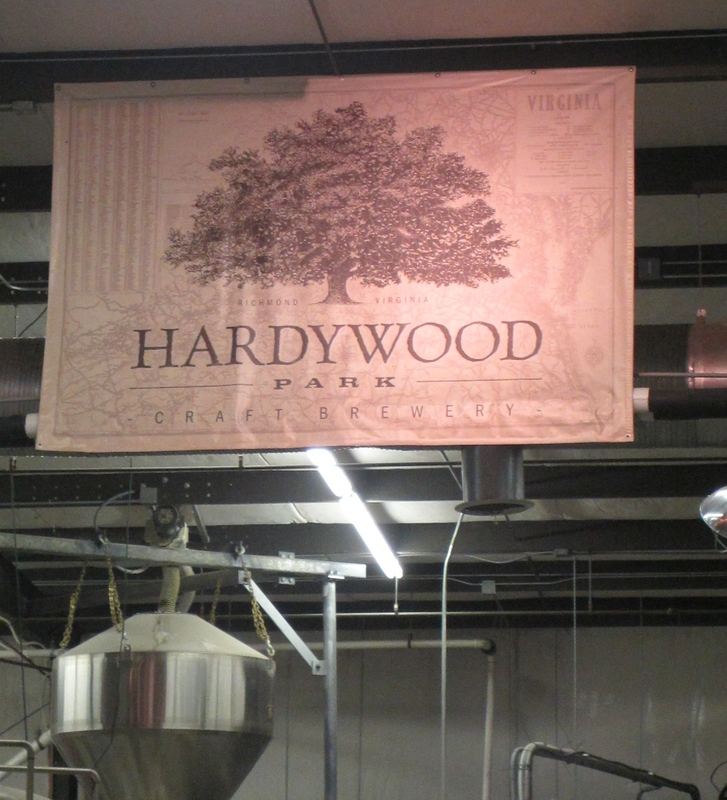 Shop while you enjoy some of Hardywood Park’s fantastic local brews. Renew your membership, or bring a friend to sign up at a discounted rate.